(WNS) – A Missouri couple filed suit against the ObamaCare contraceptive mandate on Aug. 14, claiming the requirement to pay for contraceptives and abortifacient drugs through their health insurance plan violates their religious beliefs. While the Obama administration already faces dozens of legal challenges to the mandate from religious organizations, schools, and businesses, this case focuses on the effect the new healthcare law has on individuals. 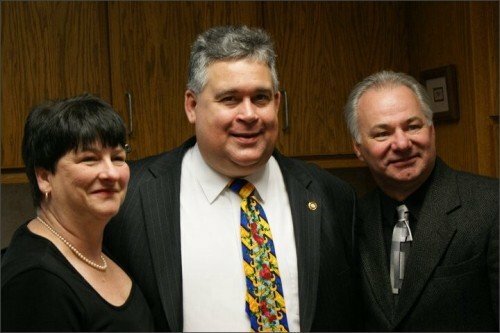 State Rep. Paul Wieland, R-Imperial, and his wife, Teresa, claim the mandate violates their religious liberty, free speech, and parental rights by forcing them to choose between canceling healthcare coverage for their three daughters or paying services they object to on moral grounds. The Wielands are Catholic and previously requested a health insurance plan through the Missouri Consolidated Health Care Plan, the provider for state employees, that did not include coverage for contraceptives, abortifacient drugs, or sterilization services. But after Congress passed the Affordable Care Act, aka ObamaCare, the state insurer informed the family it would have to participate in a plan that covered the drugs. If they chose not to participate in the employee health plan, the Wielands would have to pay much more, if they could get coverage at all. The complaint, filed by the Thomas More Society in the U.S. District Court for the Eastern District of Missouri, claims the government has no right to deny the Wielands an exemption from the new healthcare law since it has provided so many other exceptions for compliance. Only businesses with 50 or more employees are required to provide insurance to their workers. Older insurance plans that don’t provide contraceptive coverage have been grandfathered in. And churches are exempt from the contraceptive mandate. So far, more than 200 plaintiffs have filed 67 lawsuits against the contraceptive mandate. The cases are expected to end up before the U.S. Supreme Court.